Don’t get me wrong, vanilla Warband can be great on its own, but its true potential doesn’t come out until you’re playing with mods. 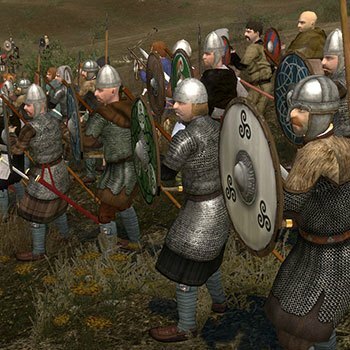 Whether you want enhanced multiplayer or you just want an immersive single-player experience, there’s definitely a mod that’s going to overhaul Mount & Blade: Warband to your liking. 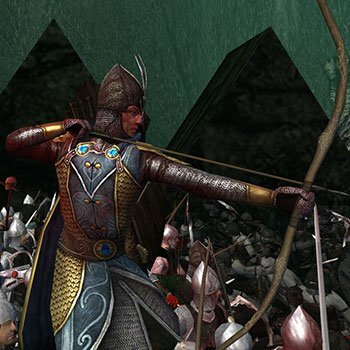 From attempts at historical accuracy to complete Game of Thrones, Star Wars, or Lord of the Rings conversions, the variety of mods is massive when you’re talking Warband. 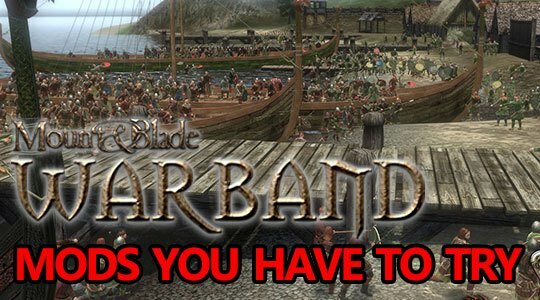 With Mount & Blade: Bannerlord just around the corner (like it has been since 2012) here are some Mount & Blade: Warband mods you absolutely have to try before Bannerlord releases! This list is going to cover mainly overhauls that seek to change a lot of the default M&B: Warband mechanics. If you feel that a great mod has been overlooked, let me know in the comment section! PK is built upon the foundations that an older mod – Persistent World – initially laid out. It’s what I would refer to as a spiritual successor. 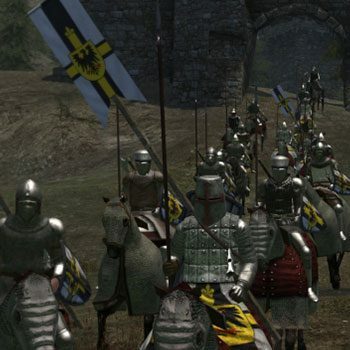 It’s a multiplayer-only mod that effectively melds the singleplayer Warband experience with a persistent online world. It adds a plethora of items, the ability to vote for faction leaders, the ability to become a faction leader and massive multiplayer battles. 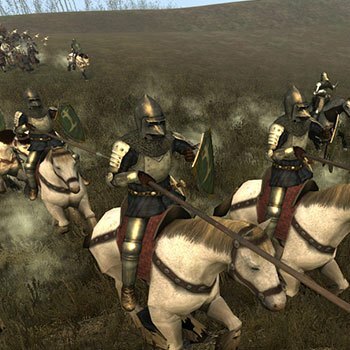 When it comes to multiplayer mods for Mount & Blade: Warband, Persistent Kingdoms is almost without competition. 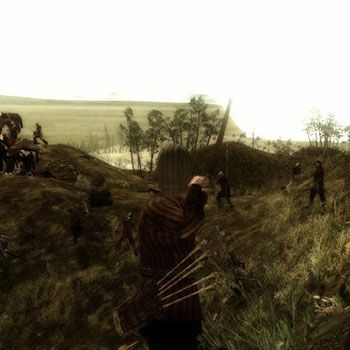 Brytenwalda is one of the oldest Warband mods, but it’s also one of the best as long as you like the time period and setting. It’s a mod that aims more for historical accuracy and hits the mark fairly well in my opinion. It takes place roughly 200 years after the Roman occupation of Britain, in a time when the continent was locked in a state of near-perpetual war. Numerous factions vie for power and you’re tossed squarely into the middle of everything to make your mark. It’s worth noting that Brytenwalda was made by the same team who created Viking Conquest. Floris Evolved is one of the most modded mods that exists. Meaning, it combines the features of a huge array of mods into something that has a bit of everything for everyone. It’s loosely comparable to vanilla Warband in the sense that it takes place on the default map with the default factions; but so much is added, tweaked, and/or changed that comparing Vanilla WB with Floris Evolved is an apples to oranges comparison. Floris gives you bits and pieces of pretty much every good mod that adds something worthwhile without being an overhaul. It adds enhanced textures and shaders, revamped troop trees, the Diplomacy mod, tons of new items, new arenas and a new tournament system and a lot more! If you need a Lord of the Rings mod like Gollum needs his Precious, look no further than TLD. The Last Days (of the Third Age) is a complete overhaul that completely changes the entire Warband experience. It adds a huge array of custom items, a tailored war system to fit the books, and the ability to pick your role in typical M&B fashion. TLD’s campaign spans pretty much the entirety of Middle Earth and you’re free to become anything you want from a Rohirrim to an Uruk. As far as LoTR mods for Warband go, TLD is easily the best choice. Winter is coming in A Clash of Kings. This complete Game of Thrones overhaul is subjectively the best GoT mod for Mount & Blade, but it does have strong competition from the slightly newer A World of Ice and Fire. As the title implies, A Clash of Kings takes place during the 2nd GoT book of the same name. There’s a ton of room for roleplay here and you can do pretty much anything from joining an existing House to creating your own and establishing your own rule on Westeros. If you’d prefer a broader GoT experience that extends beyond the events of the 2nd book, A World of Ice and Fire is definitely the mod you should check out instead. Viking Conquest is more DLC than it is a mod now, but it technically started as a mod (Brytenwalda) so I’m going to include it anyways! VC is made by the same people who put together Brytenwalda, Taleworlds were seemingly so impressed with how well they pulled off their initial mod that Viking Conquest became a paid DLC. It received some heat during release for a lot of bugs and a general lack of polish, but the later Reforged Edition fixed a good chunk of those problems. What you get with VC is a more story-driven experience with a focus on historical accuracy that melds a solid revenge plot with everything else Warband offers. 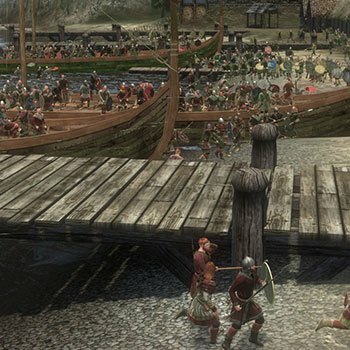 As far as Viking-themed mods for Warband go, Viking Conquest is easily the best.